Stars And Garters: Friday Night Fights: Boogaloo - Round 3: The Bane Of Cap's Existence! Friday Night Fights: Boogaloo - Round 3: The Bane Of Cap's Existence! 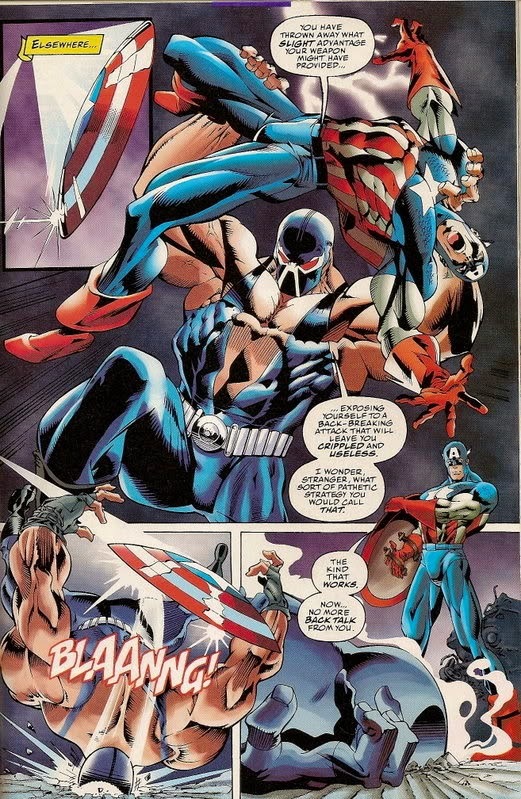 In honor of today being the Fourth of July, tonight's round of Friday Night Fights: Boogaloo features the Sentinel Of Liberty himself, Captain America, vs. the man who once broke the Bat. .... being saved by Cap's signature move. Tonight's fight music is this perfectly-titled ditty by Sweet. Cap's trick with his shield, just never gets old. For My Wife And Mother Today..